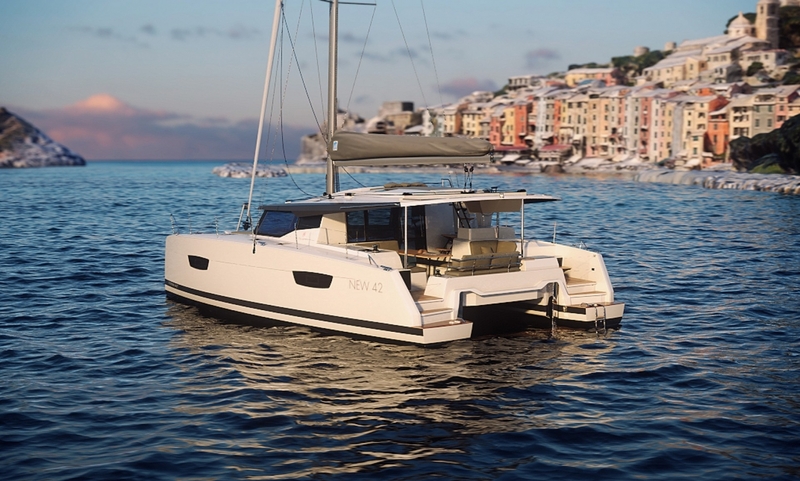 The Astrea 42 by Fountaine Pajot Sailing Catamarans is distinguished by its abundance of natural light, energetic lines, elegant living spaces and unparalleled comfort, while delivering sheer pleasure underway. 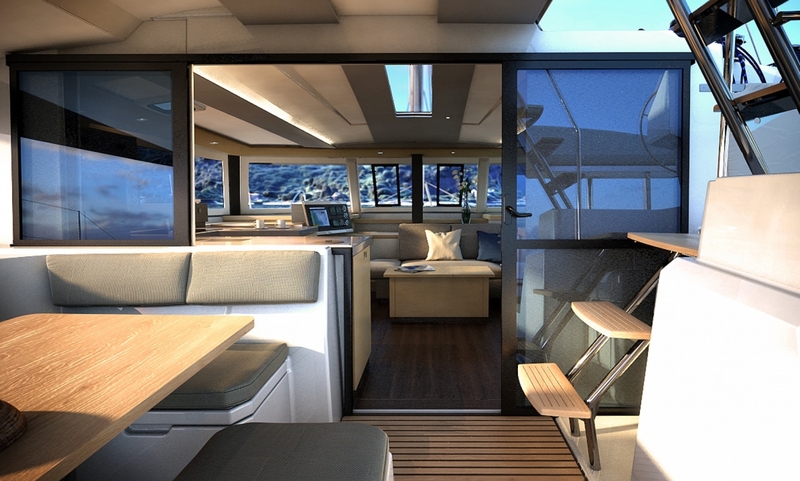 A joy to share as a couple or with family and friends, this new catamaran promises every leg of your travels will be memorable. 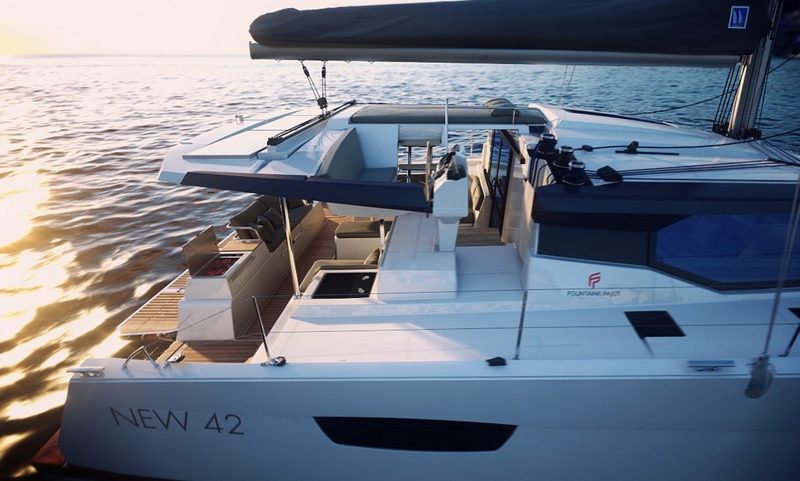 The Astrea 42 demonstrates the boatyard’s commitment to innovation while preserving the classic identity of the Fountaine Pajot sailing catamarans’ range. 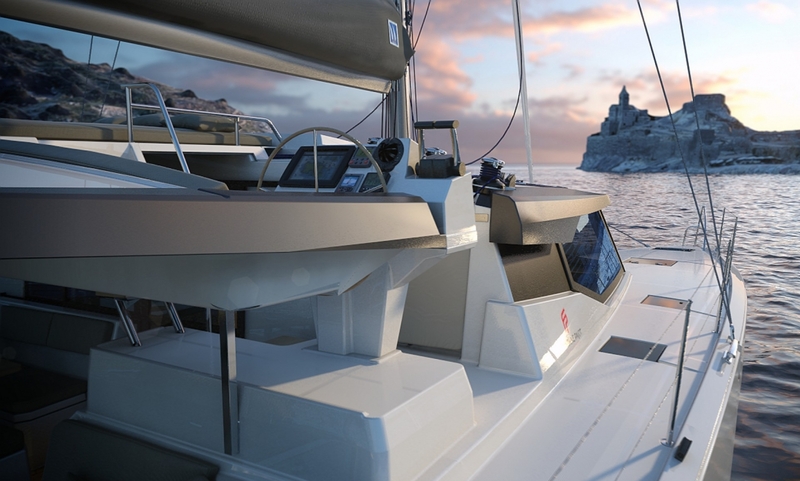 She features all the elements that contributed to making our latest new boat, the Saona 47, an international success. Her inverted bow, the new signature mark of the range, gives the boat an elegant and dynamic line while offering incomparable interior space. 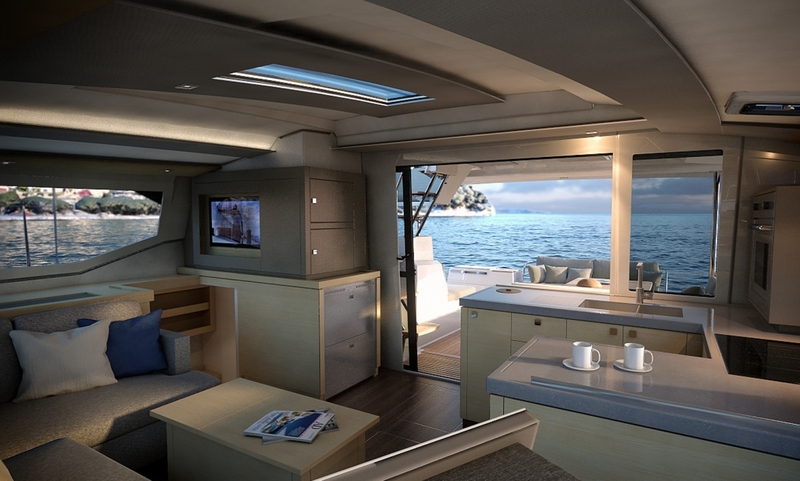 The Astrea 42 was conceived and designed to facilitate free-flowing movement throughout the boat, as well as linking the helm station with the outdoor relaxation and living spaces from coach roof to cockpit. 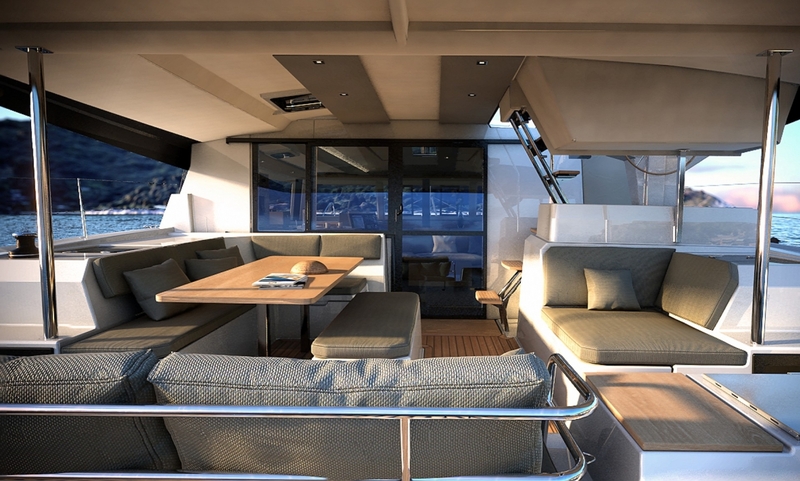 The coach roof features a double seat at the helm station and a built-in sun lounger for enjoying idyllic days together. 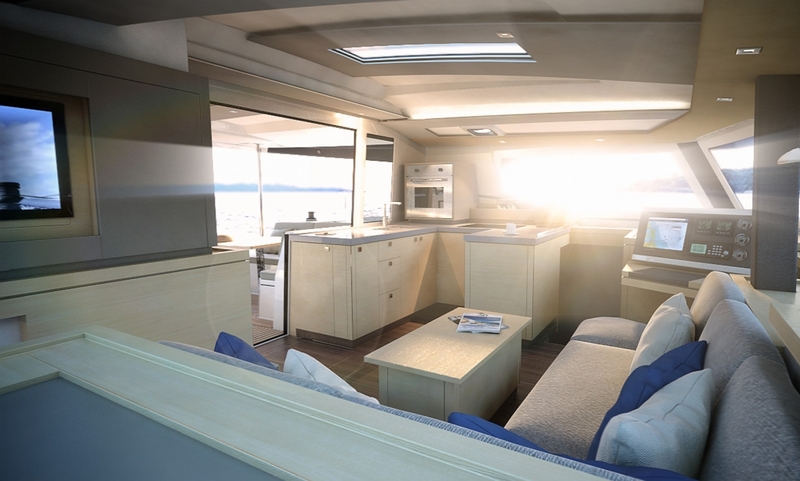 Available in two versions – Owner and Quatuor – with 12 bathroom layout options, the Astrea 42 has everything needed to fulfill your casual or extended cruising dreams. 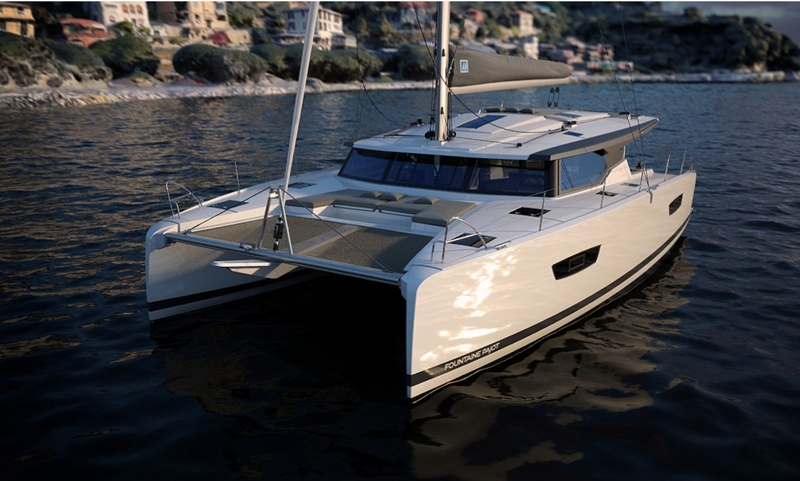 This is a catamaran that makes you feel proud to be a member of the Fountaine Pajot family.